How much can you save on a short sale in Homosassa, FL? The short sale process in Homosassa, FL, for a buyer can be very profitable if the situation includes a motivated seller and a cooperative lender. Find the best short sale homes and bank-approved listings available in Homosassa, FL, at Foreclosure.com today for as much as 75% off market value. 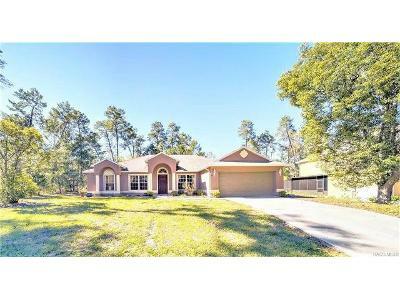 There are currently 1 short sale homes in Homosassa, FL, available for potential sale right now. Get the most current list of short sale listings in Homosassa, FL — and the information and tools to buy them fast — at Foreclosure.com. Homosassa is a census-designated place (CDP) in Citrus County, Florida, United States. The population was 2,578 at the 2010 census. In 1851, David Levy Yulee established a 5,000-acre (20 km2) sugar plantation on the Homosassa River, close to the current town of Homosassa. The plantation was worked by approximately 1,000 slaves, but Yulee was an absentee owner, spending most of his time in Fernandina. Among the crops raised were sugar cane, cotton, and citrus. The Yulee Groves were one of the first in Florida to grow sweet oranges budded from sour orange stock. The mill, which was steam-driven, operated from 1851 to 1864 and produced sugar, syrup, and molasses, the last of which was part of the rum-making process. After the Civil War ended in 1865, Yulee was imprisoned, the slaves were freed, and the site was abandoned. The remains of the plantation are preserved at the Yulee Sugar Mill Ruins Historic State Park. Homosassa is home to Homosassa Springs Wildlife State Park, which is often home to large numbers of "migratory" manatees, which frequent the area due to its springs and relatively warm waters. The park a has been known to have Florida panthers, black bears, red wolves, alligators and flamingos. There are currently 1 red-hot tax lien listings in Homosassa, FL.